Little things mean so much to small children. As a little girl, I remember waiting and waiting for something because my mom said “maybe next time we’ll do that.” In my mind that meant, “Yes, of course we’ll do that!” and was disappointed when it didn’t happen. It wasn’t even something major but I remember thinking that my mom didn’t keep her word. As a child that was really upsetting. Now as a mom, I wonder how often I do the exact same thing!! 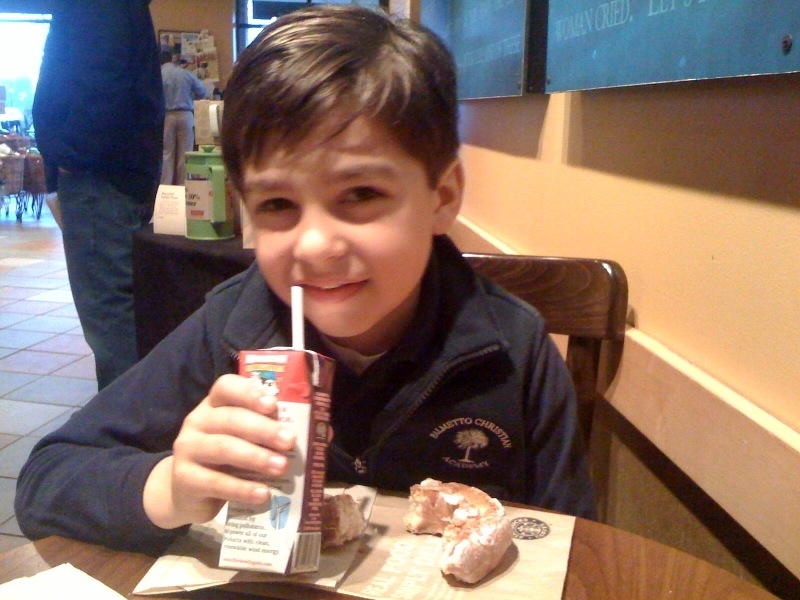 After the time change, Colin came into our room at 3:50 am and asked me if I would take him to Starbucks before school. (Please keep in mind that it was 3:50 in the morning!!) I mumbled something like “we’ll see” and put him back to bed. Well, that set an expectation that we were going to go to Starbucks. With three small children (and also the fact that Colin is at kindergarten in Mount Pleasant by 7:45), going out for breakfast is a very rare occasion! He asked each morning and I’d have a reason why we couldn’t go. We talk so much about “keeping our word” in our family. I realized that, in his eyes, I wasn’t keeping mine. So — I woke up really early yesterday morning and we left home around 7:00. And went to Starbucks. And I had the most special time with my little guy! I’m so thankful that we made this happen. These little things mean so much. Matthew 5:37a ~ Simply let your ‘yes’ be ‘yes’ and your ‘no’ mean ‘no’. I struggle with promising too much because I hate to disappoint my children. It’s much easier to answer “maybe later” when they ask if we can go to the park when the answer should be, “No. Not today.” I realize that this type of answer probably sets false expectations. I pray that I can break the habit and just let my “yes” mean “yes” and my “no” mean “no”.